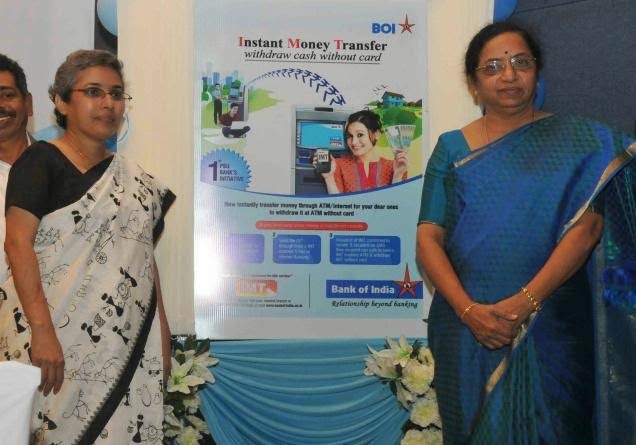 The facility can be initiated by the bank’s customer over bank’s ATM and retail Internet banking. The sender initiates IMT by providing receiver’s mobile number, four digits sender code, the IMT amount and authorises the transaction from either bank’s ATM or bank’s internet banking. The sender provides receiver’s name, address and mobile number to the bank either on SMS or Internet banking. The receiver receives the notification of IMT on his mobile phone, along with a four-digit SMS Pin.The sender separately communicates the four-digit sender code to the receiver.Then the receiver, after getting these two pieces of information - one from the sender and the other on SMS, walks into the bank’s nearest IMT-enabled ATM and withdraws cash by punching in the mobile number, sender code, and SMS Pin.